Product #20717 | SKU LS-CT40M | 0.0 (no ratings yet) Thanks for your rating! This Impact Turtle Base C Stand features a detachable base with twist and release locking legs that are easily removed to facilitate transportation or to replace the riser with an alternate size. 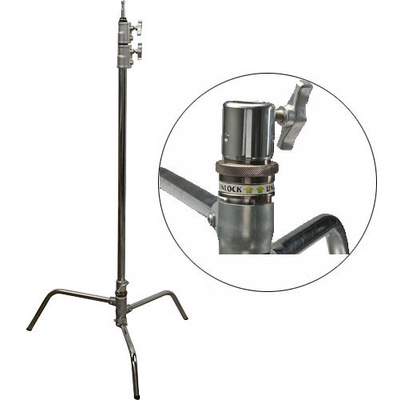 A light head can be mounted to the base directly with the aid of a stand adapter. The base allows individual legs to be set at any angle, and can be positioned in locations not possible with standard designed stands. Note: Does not include extension arm or grip head. This stand features twist and release locking legs with unique mounts which are easy to fold or replace. The base detaches from the riser for easy packing.